Structural calculations are of course hugely important to ensure safety and that the proposed plans meet the requirements of the building regs. Before a loft can be converted its structure must be looked at to see what kind of modifications it has to undergo so work on the conversion can start. The main component of the calculations are whether your existing loft floor will be able to withstand the use you are proposing to make of your loft area, and what work needs to be done to withstand that weight. This could include the provision of beams or steel work to provide extra support. The existing joists and lintels will also need to be checked to see if they are capable of bearing the increased weight that the new use of your loft area will bring. Other structural calculations will consider the beams, joists, posts and rafters, all designed to produce a loft conversion that is safe and meets all necessary building regulations. There are companies which carry out structural calculations as well as providing drawings they may produce 3d visuals as well. These specialist companies are well aware of the current building regulations and such considerations are taken into account when making calculations. Some specialist companies can also carry out structural calculations for you online. You send them a PDF copy of your plans and they are able to make the necessary calculations from them. Because the plan of your proposed loft conversion is so important it is imperative that they are drawn up by experts such as an architect or loft conversion specialist. 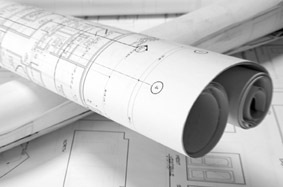 By using the experts to draw up your plans it will help your project receive the go ahead without any unnecessary delay. Although it is entirely possible to convert the majority of roof space’s in UK properties some houses naturally lend themselves easier to convert than others. And it mostly comes down to exactly what kind of roof space the property has. If your house has a huge cavern of a loft, usually found in older houses, then there will probably be very few, if any, loft conversion structural issues for you to worry about. When it comes to a householder planning to convert a loft it is usually the rule that the older a house the better the roof space is for conversion. Older houses were typically built with steeply pitched roofs and are usually referred to as rafter and purlin types. This type of roof is really ideal for a loft conversion as, in addition to the steep pitch of the roof, there are wide spaces between the timbers which makes the roof space tailor made to be converted into a new room. An added bonus with this kind of roof space is that when it comes to thinking about design the headroom should be easily sufficient so that there will be no need to consider a dormer extension. Although the rafter and purlin style roofs are common in older houses the concept is also quite common in very new houses as builders realise the potential of including a large roof space in their designs and begin to use a style called RIR (see below). From a loft conversion structural point of view perhaps the most challenging roof spaces are those belonging to houses build from the early 1960s to the mid 1970s. At that time it was typical for house builders to install very shallow pitched roofs and these kind of trussed rafter properties can be challenging when it comes to converting the loft. Because of the mass of timbers used in these shallow pitched roofs a loft conversion can be tricky with the lack of headroom being a major issue. Whatever style of roof your property has there are some basics that are common to all timber built structures. When a child draws a picture of a house they know that the roof is basically a big triangle. The pitch, or angle of the triangle, determines the interior loft space. Obviously the wider the angle, or steeper the pitch, the more room there will be inside the loft. The triangle of the roof is made from timbers with the sides, or slopes, of the triangle the rafters. At the bottom of the timber rafters are the wall plates. Again made from timber the plates run along the walls. Tying the whole thing together are the ceiling joists. This makes an extremely strong shell. As mentioned above there is a new trend amongst house builders to revert to the older style of roof making loft conversions very easy. Nowadays many houses are built in a style called RIR. This stands for room in roof trusses and they are actually specifically made to allow a loft conversion to be built. Basically the RIR structure is an empty shell with two vertical and one horizontal beams supporting the triangle of the roof. If you have got one a roof like this than converting the loft will be a piece of cake.